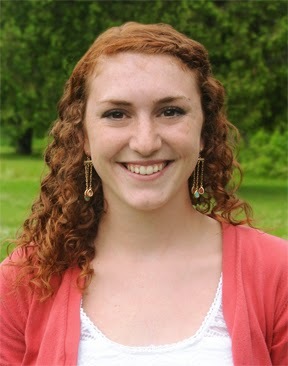 The Marcy Chamber of Commerce is pleased to announce Siobhan Conley as the recipient of its $750 scholarship award. This award is based on scholastic achievement, school activities and community commitment. Siobhan graduated from Sauquoit Valley in 2013 and is currently enrolled in the 1+2+1 program at SUNYIT and St. Elizabeth School of Nursing to obtain her Bachelor’s of Science degree in Nursing. Siobhan graduated fourth in her high school class and received numerous academic honors including induction into the National honor society, scholar athlete, New Visions high honors, and was on the president’s list. Throughout her high school career she participated in many clubs and activities including: student council, Skills USA, Interact club, art club, band, choir, NYSMA, school musical, soccer, volleyball, track, and Irish step dancing. When asked why she chose a career path in nursing, Siobhan stated, “I have always enjoyed helping out others and believe that the nursing field will help me to better the community by allowing me to directly care for individuals face-to-face.” After she graduates with her degree in nursing, she hopes to be a traveling nurse specializing in critical care or pediatrics. While traveling in the profession, she plans on taking online courses to obtain her master’s degree and become a physician’s assistant. The duration of this scholarship differs for students pursuing different degrees. The students are permitted to make benefits of living budget when in two weeks and relocation support to those students who are moving to the city of Melbourne from another Australian town or another nation. For students who are pursuing Master’s degree by research in Human Rights are eligible to two years of such scholarships whereas professors who are doing doctorate in human rights are able to get a three years of this scholarship. Additional information or anyone who are interested to learn education from life experience degree accredited which provide education scholarship also for every individual. The physician assistant school requirements is expensive because the cost of PA school may be high and most students who aspire to become PAs are not necessarily affluent. A few things are great. Some are incredible. At that point comes this blog. I hope that her story would serve as an inspiration for those who are not well off in terms of financial status for more visit here. With effort on studying well and graduating with flying colors, you might use this to be able to get a scholarship.